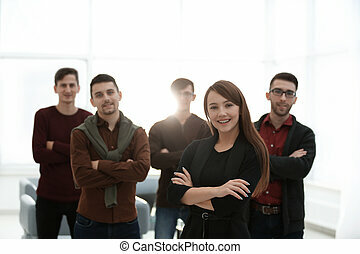 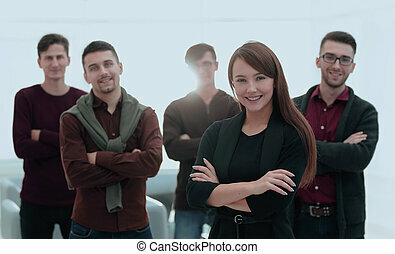 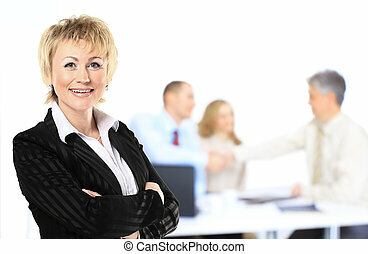 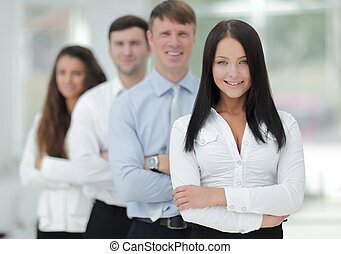 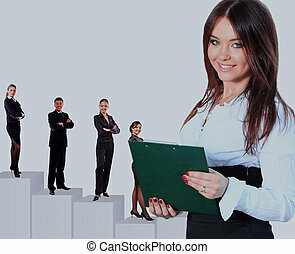 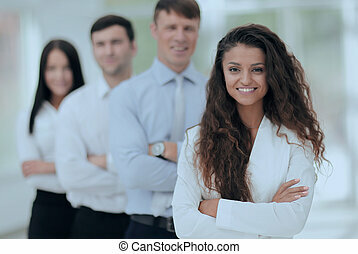 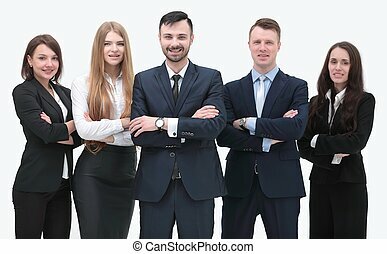 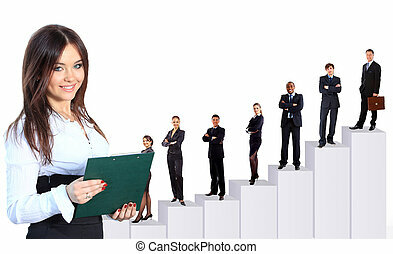 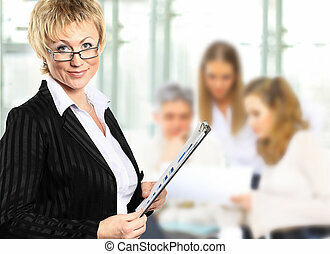 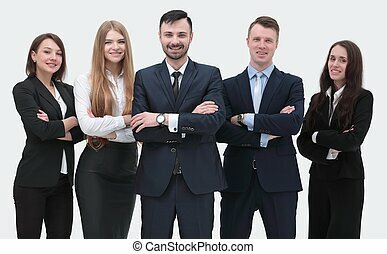 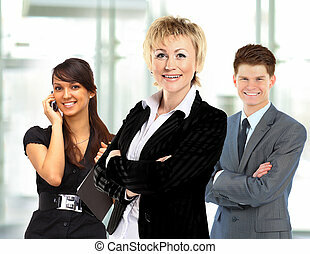 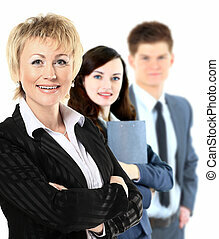 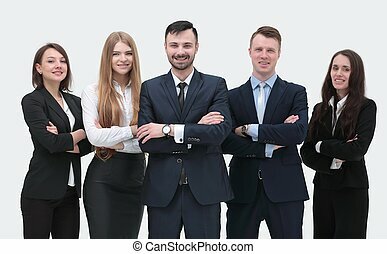 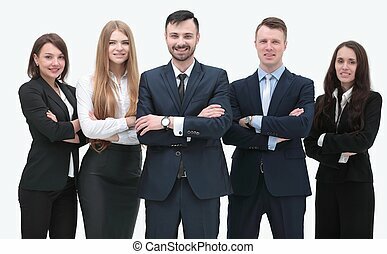 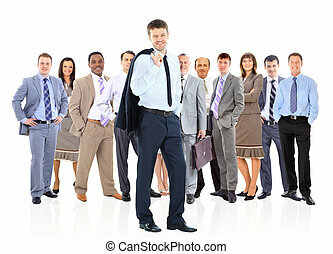 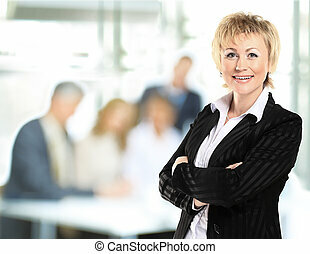 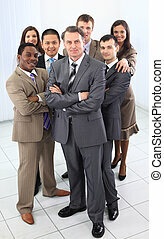 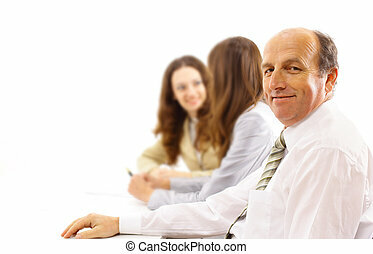 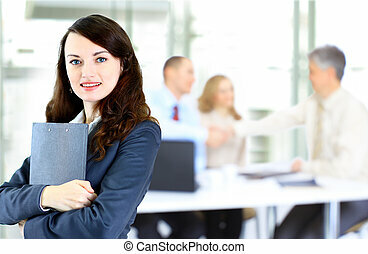 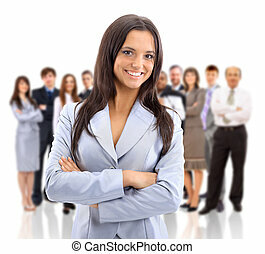 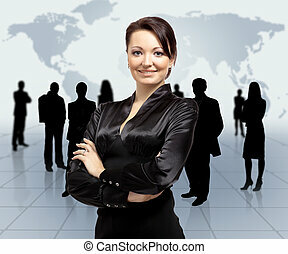 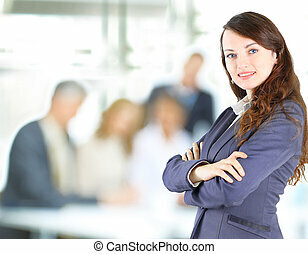 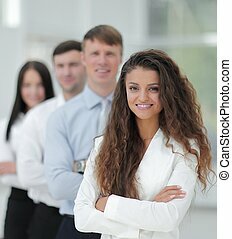 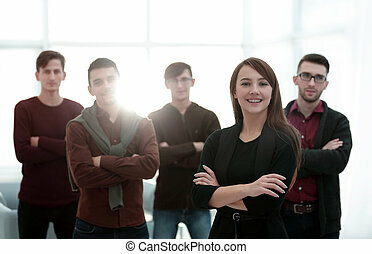 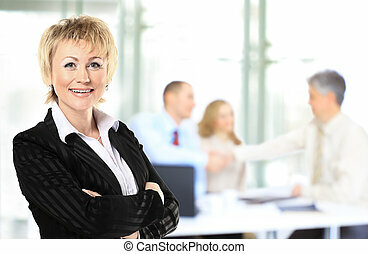 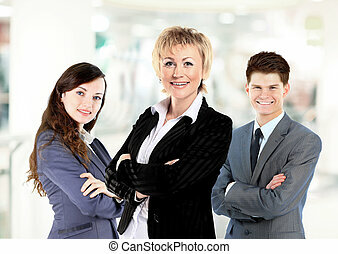 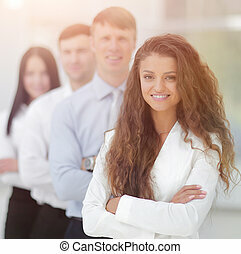 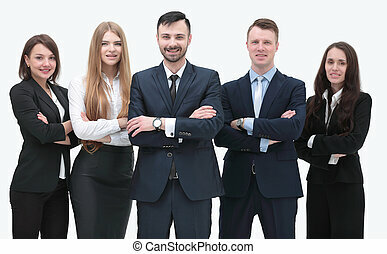 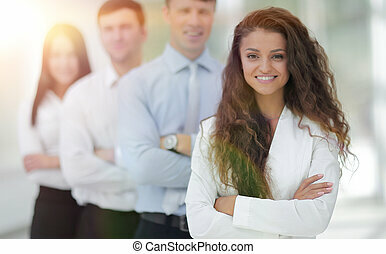 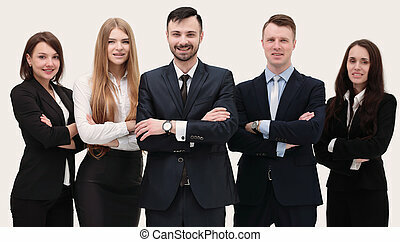 Confident woman leader and business team. Closeup.a confident woman leader and business team. 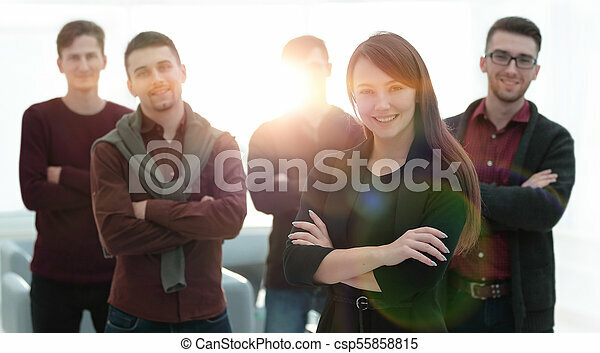 Confident Woman Leader And Business Team.